Shop signs, business signage and billboards, these are things that make up the background of everyday life and have become such a fundamental part of our day that you could be forgiven for not even noticing them. 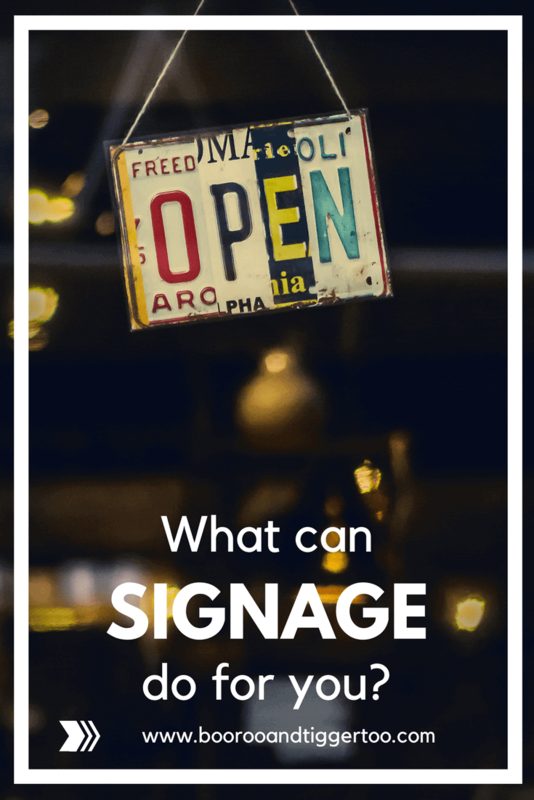 But if you’re a business, then it may interest you to know that good signage plays a significant role in increasing awareness of your business and of course, an increase in customers! It’s important to remember that no matter how good your product or service is, if your sign does not make people stop and shop, it has failed. Investing in professional sign design is sound advice. Experienced designers understand how to get the consumer’s attention and, more importantly, how to get them to respond. Let them know you’re there! It may sound obvious, but a well-designed and high-quality custom metal sign is the best way to alert any potential customers that you actually exist! Signage should never be an afterthought. The sign on your business is a powerful and sophisticated marketing tool. It works for you 24 hours a day, 7 days a week, 365 days a year. It creates the first impression of your business that many customers will get; it tells them who you are, where you are and what you have to offer. This is even more important for small business owners, after all, if you’re placed in a small town that’s blessed with frequent visitors or new residents, this is a priceless way to establish yourself as a brand and gain new customers. Potential new customers could walk or drive past your business every day – a good sign keeps you at the top of their mind. Not forgetting the impulsive customer on the street, who may see your sign at be inspired to step inside your shop. Signs can help you convey short, concise bits of promotional information that can generate additional sales. A sign that tells about a special sale you are running, for example, may entice people to stop in on impulse and make a purchase. You can also use a sign to tout a recent award your business has won or remind people that it is the time of year to make use of a seasonal service your business provides, or maybe even a competition! You don’t have to be a major, multi-national brand to get that brand recognition that so many small businesses crave. If your signage is designed accurately and is then reinforced throughout your shop/business through, stationery, uniforms and logos etc – your business will be on the way to establishing itself within the local area and beyond. Then, in turn, creating a business that is both trusted and reliable creates customers and profits! Remember, your sign is your voice on the street; it’s a primary means of communicating with customers; it attracts them, draws them through your doors, and encourages them to buy your products and services.